Ask fellow campers about "Cheyenne KOA" and nearby attractions. Easy access off I 80. Very friendly and helpful staff. The park is very well taken care. Someone was always working on the park while we were there. A typical KOA as sites are close to each other. 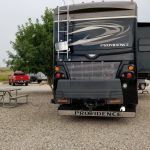 We camped at Cheyenne KOA in a Fifth Wheel. Easy on/off interstate. Very clean and well kept but also a lot of money for what you get. All gravel/dirt and very dusty. All services worked as expected. We asked for a pull thru so we could stay connected and were told the sites were 85'. I didn't take out my tape but our 40' motorhome was on the edge of the road front and back. No way to stay connected. I walked the park and most sites were 40' max. There were a couple maybe 80 but that's all. An OK park but kind of expensive. We camped at Cheyenne KOA in a Motorhome. Good one night spot traveling along hwy 80. Clean and all gravel with not much dust. Well lit at night. We camped at Cheyenne KOA in a Fifth Wheel. Very nice KOA with good access to the interstate. Was only an overnight stop for us. Sites level and all utilities worked as expected. All roads are gravel as are the sites - to be expected in this part of Wyoming. Highway noise not too bad and the train was far enough away that it was not a problem. There is an Air Force base nearby so there may be the occasional airplane or helicopter flying over. We camped at Cheyenne KOA in a Fifth Wheel. Not normally a fan of KOA's but this is the best one I have been to. Minimal road noise, wifi worked great. Sites reasonably spaced and utilities where they should be. We camped at Cheyenne KOA in a Motorhome. $54 for a water electric pull through gravel site is not a good value. I pretty much stay away from them now because of their rates. Two years ago I stayed here 2 sites from where I stayed today an paid $43.55. That is a 25% increase in 2 years. Yes they have a lot of amenities like pool, miniature golf & etc and the place is clean and organized. The location is next to I-80 so there is considerable traffic noise. Dish Satellite reception was good as was AT&T cell and 4 bars of LTE data. Staff was good. We camped at Cheyenne KOA in a Motorhome. Did two nights here. Spaces were quite flat and the pull through spots had plenty of room to park the tow vehicle next to the fifth wheel. Cable had about a dozen channels. Spots were almost flat, it took a one inch lift on the right side to get level. Two sewer hook ups were handy. Staff was friendly. Sites are 100% gravel, long and wide. We camped at Cheyenne KOA in a Fifth Wheel. The Terry Bison Ranch is worth seeing. We stayed here for 5 nights during Frontier Days. Check in was a breeze. The owners are very friendly and the little store was packed with all sorts of "American Made" items. We pulled right into our site and didn't have to unhook. Our spot was a bit narrow due to tree limbs compared to other KOA's. The K9 Kamp was great for the pooches. Plenty of grass for walking them. Great DISH satellite and Verizon services. They have a mini golf and a little koi pond. Little bit of highway and train noise as the campground is near both. We would stay here again if in the area. We camped at Cheyenne KOA in a Motorhome. Downtown Cheyenne was fun. We took the narrated trolley tour of the small city. We ate lunch at Rib and Chop house. Very reasonable. They advertised a pool. The pool didn't have any water in it. Sites are very close together. No trees and right next to the highway and it was extremely noisy. The bathrooms were old but clean. They did have a decent play yard for kids. Very pricey for what you get. Will not stay again. OK for one night if nothing else is available. We camped at Cheyenne KOA in a Motorhome. Very clean KOA easy to navigate, nice facility. Very friendly host and owners. 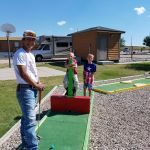 We camped at Cheyenne KOA in a Fifth Wheel. We stayed here in June. It is located right off the interstate so there is some noise, but not too bad. Checkin was quick, the staff very friendly. The site was easy to get into, we were on the last row by the tent area, these sites have no sewer which we knew. The utilities worked well no issues. The sites are wide but may be a little short for some large rigs to park without unhitching. There are good places to walk a dog, keep on a leash there are lots of rabbits and prairie dogs. The pool looked great, cable is very limited. When pulling out there is an easy to use dump site. We have stayed here before and will return. In all a good stay we got what we expected. We camped at Cheyenne KOA in a Fifth Wheel. Our third overnight stay at this park. It is convenient to I-80 with food and fuel nearby. The staff is friendly. helpful and we were escorted to our site. WiFi was adequate. Facilities were clean. We will camp here again. We camped at Cheyenne KOA in a Motorhome. We appreciated the cleanliness of the park and the amenities but the side by side parking in an unshaded gravel parking lot was not relaxing. I can't imagine how miserable the heat and dust will be later this month through the summer. We put out our patio carpet and pushed our chairs up against the camper and found some shade and shelter from the wind. Our dog got dirty and was uncomfortable walking on the large gravel. Interstate 80 through WY has a real lack of camping places and that is why this clean space fills up every night. 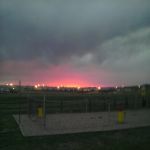 Any other campgrounds are inhabited by locals and transient oil field workers. 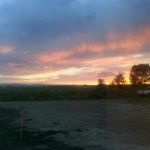 We camped at Cheyenne KOA in a Travel Trailer. LOTS of rabbits and prairie dogs. Watch for those holes when walking around the grassy perimeter. We were the smallest rig there with a 19' trailer. Huge 5th wheels and 40 Class A's made up most of the visitors which made the campsites feel even more crowded. Nice, friendly guests and campground hosts. I'm a full-timer and have been traveling across the US for almost 2 years. I stayed at this KOA late last summer and happy to return. this is my FAVORITE KOA of ALL the KOAs I have stayed at! 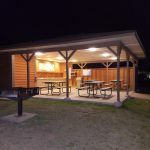 The spaces are level, the park is pristine, the showers and restroom spotless, the owner/operators friendly, helpful, professional, accommodating. They return phone calls immediately! I have and will continue to recommend this park to family and friends!! and will stay again!!! We camped at Cheyenne KOA in a Motorhome. Absolutely a beautiful park, convenient to a Pilot gas station and I-80. Pilot gas station just a couple of blocks and RV friendly. Super Walmart at the next exit if you need to stock up on any items. There is a coupon book that you can pick up in the office. There is a coupon for an Asian restaurant that has really good food. I can't remember the name but I do remember the food was really good. Wal Mart 1 exit west. Pilot Station right at the entrance to the freeway for fuel & coffee in the AM! The nearby Flying J was extremely congested and the RV pumps required pre-pay inside - no pay-at-the-pump. We found a small tree in the way of the satellite reception so ask beforehand for a satellite friendly site. Pilot Travel Center at same exit. Downtown Laramie contains many historic buildings and an excellent railroad museum. Plenty to do in Cheyenne, visit the Visitor Center at the Depot and tour the museum. Ride the trolley for a 90 min tour of town and a narration of Cheyenne history. We also visited the State Capitol building and toured the old Govenors Mansion, very interesting! 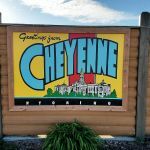 Short drive into Cheyenne with information about the city available at the office. Worth an extra night to see Cheyenne and learn some of the city's history. The railroad museum in Cheyenne was worth the trip. Sanfords restaurant in Cheyenne is fun, with good food and a ton of TV's for sports. Historic downtown Cheyenne is a fun place to tour and am sure there are many more places to see ... the office staff has many free brochures as well as a coupon book. We were museumed out upon arrival, but Cheyenne is a beautiful town with 3 or 4 museums. Take the trolley ride. It's only $10 per person and you can download a "twofer" coupon from their website. You can get off and on at a number of sights. President Lincoln wanted to connect the east and west by railroad and he's remembered here. Are you affiliated with Cheyenne KOA ?